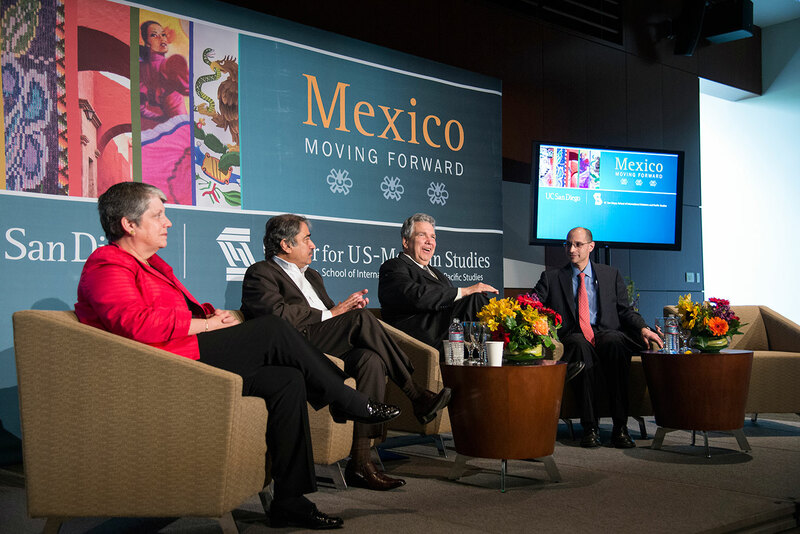 The Center for U.S.-Mexican Studies at the University of California, San Diego presents a diverse lineup of policy, scholars and community leaders for its annual symposium, Mexico Moving Forward. 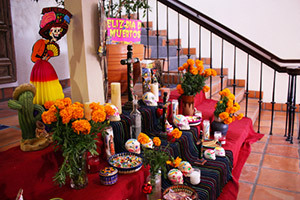 Called “Recapturing the Mexico Moment,” this year’s all-day event will be held Friday, Oct. 30, culminating in a Dia de los Muertos celebration with decorated altars and a live mariachi band. Numerous high-level speakers will be attending this year’s event, including Mexico’s new minister of tourism, Enrique de la Madrid. Well-known TV and radio personality Leonardo Curzio will help set the tone of the symposium by providing insight on the political landscape. Claudio X. Gonzalez, president of the Mexicanos Primero nonprofit, will focus on the country’s education reforms, and professor and social-media presence Jose “Pepe” Merino will discuss changes in civil society. De la Madrid is the keynote speaker for the gala dinner, held the evening prior at the new Cross-Border Xpress terminal linking San Diego and the Tijuana International Airport. Additionally, a panel of industry leaders in journalism and media will meet to discuss the current climate of reporting on and in Mexico. Featured speakers include Alfredo Corchado of Dallas Morning News and author of “Midnight in Mexico,” Dudley Althaus of The Wall Street Journal’s Mexico City bureau, Nacha Cattan of Bloomberg, Carrie Kahn of National Public Radio, and Angela Kocherga of Cronkite News, Arizona PBS. The breakfast panel, which is open to media, will be moderated by Everard Meade, a former USMEX visiting fellow and current director of University of San Diego’s Trans-Border Institute. 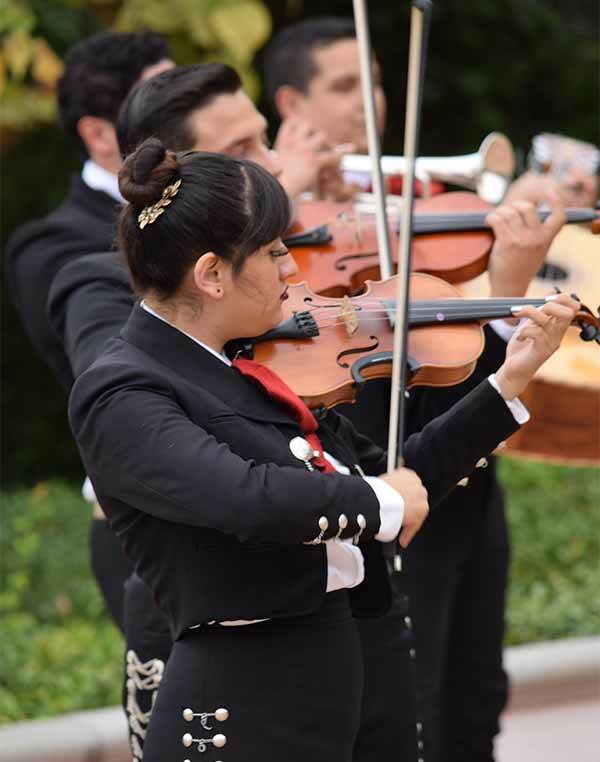 Live mariachi music will close this year’s Mexico Moving Forward. USMEX is a research institute based at UC San Diego’s School of Global Policy and Strategy. Since 1979, it has been the go-to source for extensive academic research on Mexico and United States-Mexico relations, informing the creation, implementation and evaluation of public policy. The center draws on its extensive and dynamic network to support a wide range of research and activities, showcased by Mexico Moving Forward. While the 2014 symposium addressed the anniversary of the North America Free Trade Agreement, NAFTA, this year’s symposium takes a constructive look at the previous three years in Mexico, coinciding with the first half of President Enrique Pena Nieto’s presidency. Touted as a leader of the “Mexico Moment,” Pena Nieto has instead seen major challenges since taking office. With three years of his term remaining and a new set of congressional leaders taking office, USMEX and its collection of top thought leaders aim to highlight positive developments and opportunities for reclaiming the national moment, important for our binational relationship. The Friday, Oct. 30 lineup consists of three panel discussions, open to the public: “Recapturing the Mexico Moment” will address political, social and economic challenges and opportunities, “The Progress and Pitfalls of Structural Reforms” will give a unique rundown on what has – and hasn’t – worked regarding the country’s groundbreaking reforms, and lastly, “Transforming Mexico” will bring key, innovative social leaders together in one room to focus on what is possible for the future. Welcome remarks from Dean Cowhey will take place at 10 a.m. and the event closes at 5 p.m.
Sponsors for this year’s symposium include Sempra Energy, SIMNSA Health Plan, the Smart Border Coalition, Duty Free Americas (UETA), the Mexican Consulate of San Diego and Grupo Loponti. View the complete list of invited speakers and register to attend the Oct. 30 event. Alternately, each session will be live streaming on the Center for U.S.-Mexican Studies and School of Global Policy and Strategy websites. Follow and participate on Twitter with #MexicoMovingForward and #RecapturingTheMexicoMoment.